Saw-whet Owl at netting station. Photo by Frank Oliver, DNR. 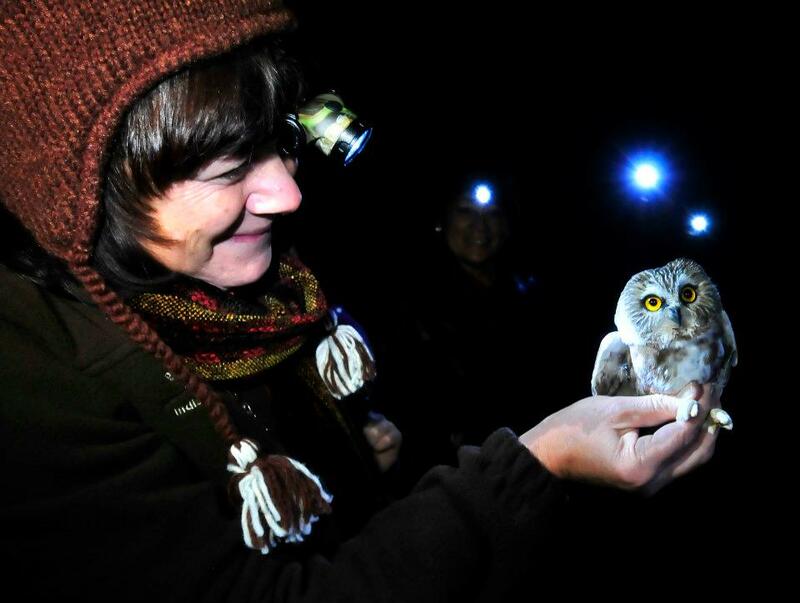 The owl banding program is run from roughly October 5 to November 20, for 3-8 hours each night starting one-half hour after sunset. In 2012, two arrays totaling 10 nets were set up, each array in the form of a cross with one net on each side, with exception of one side with two nets. A speaker is placed in the center of the cross, connected to an mp3 player that continuously broadcasts calls of Saw-whet Owls (the principal target species). All owls captured are banded and complete banding data is recorded on forms provided, along with netting effort. Safety of the birds is paramount, and operations are temporarily abandoned if safety is compromised. All protocol is done to standards made continent wide with Project Owl Net. Map courtesy Project Owl Net. The Saw-whet Owl project is a primary research facility for migrating owls in the Indiana Dunes area. 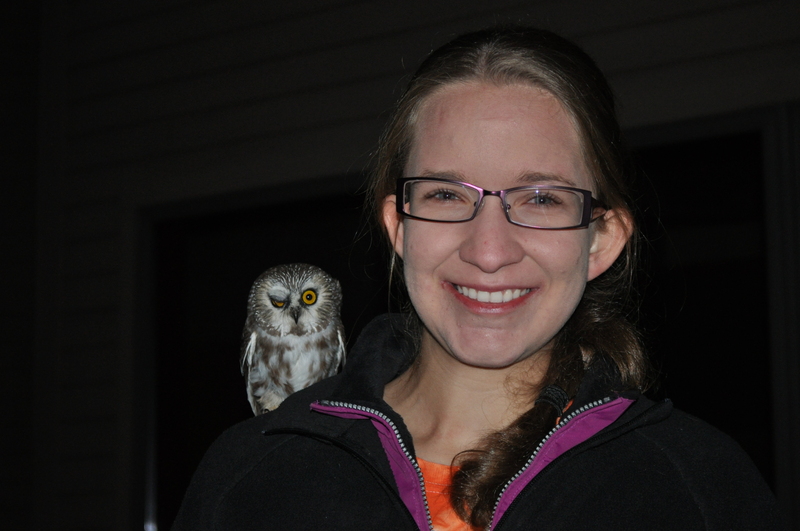 It is the only known station conducting regular owl banding in all of Northern Indiana as well. A secondary goal is to educate the public on these fascinating birds. 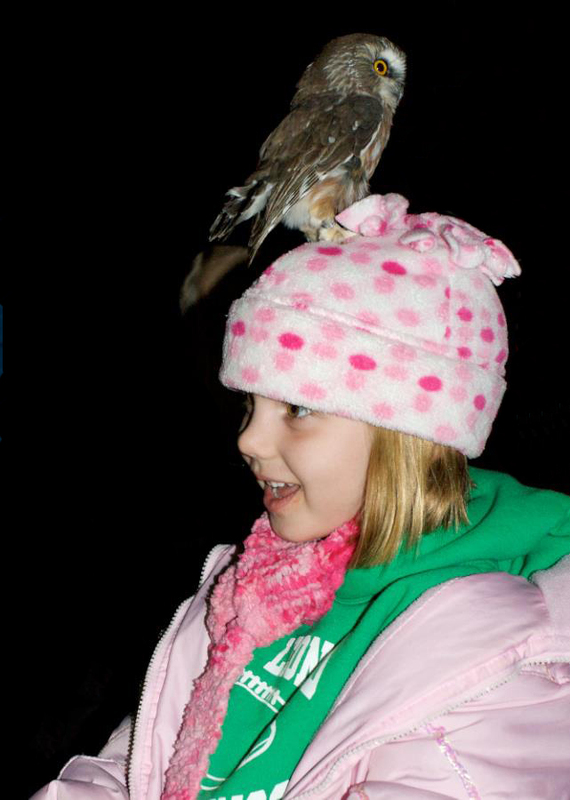 Volunteers help to engage with the public that may be visiting the Nature Center, whether during an official public night or an informal night. Visitors may call the Nature Center to inquire about specific banding nights or check the interpretive schedules for public banding nights. Much of the funding for the project comes from our visitors adopting owls or purchasing goods at the Nature Center gift shop. 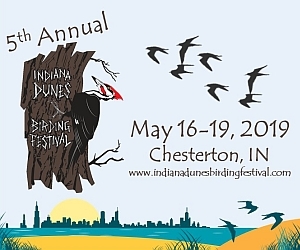 Funding has also come from the Friends of Indiana Dunes, Arcelor-Mittal, and the Northwest Indiana Migratory Bird Association. can I still adopt an Owl as a Christmas gift for my niece? Yes, you can. Call the Nature Center (Wed-Sun) and adoptions can be done over the phone and then mailed to you. What is the location of the nature center? Is it inside the state park? Yes…enter main gate…take a right and go past the camp ground. Are the owls only available to visit October-November?